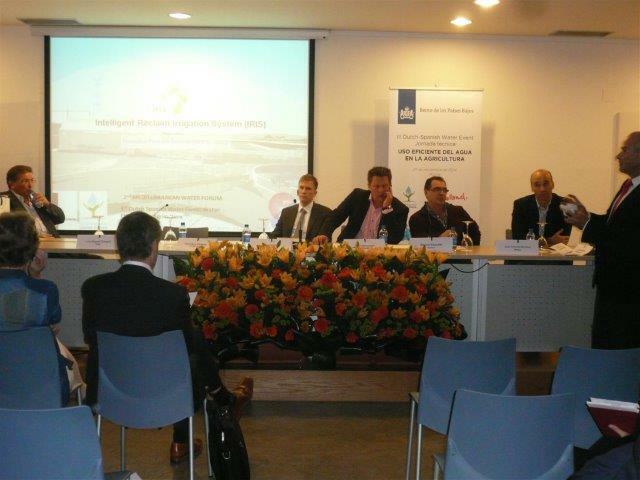 On 25th of November, Transfer LBC took part in a technical conference organized by the Dutch Embassy in Murcia named: ‘More efficient water usage in agriculture’ within the scope of II Mediterranean Water Forum. The event was held in the meeting room No. 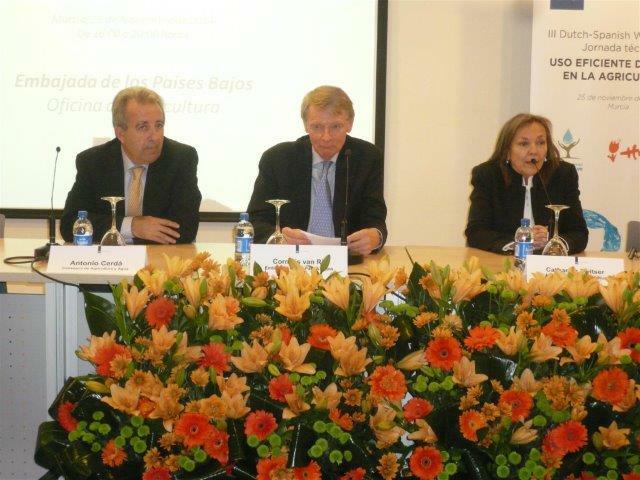 3 in the Víctor Villegas auditorium. Click here to see the invitation for the event. 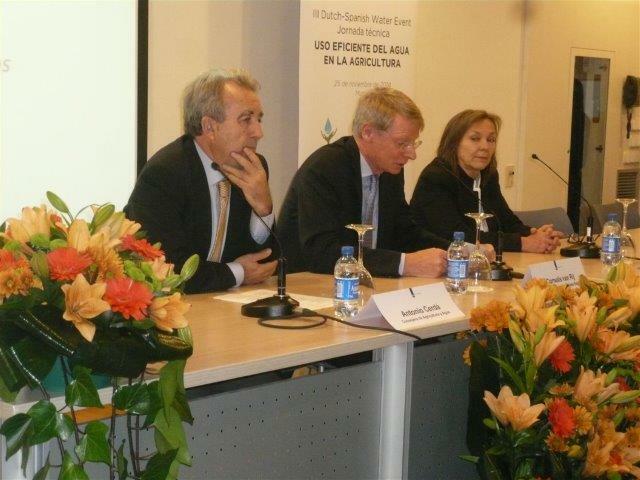 The conference was a continuation of the two previous ones celebrated in Valencia, 2009, and in Madrid, 2011, with the bringing together of organizations, research and government institutions from the water technologies sector as the main purpose. The main objective of the conference was to gather potential partners and through these collaborations, promote innovative projects that will hopefully result in long-term business relationships. For this third meeting in Murcia one more objective was added: to familiarize the representatives of countries that attended the Mediterranean Water Forum- many of whom have similar problems to Spanish ones- of the available technological and managerial solutions regarding water scarcity. (3) Representatives of specific projects: presented solutions to address the problem of water scarcity.